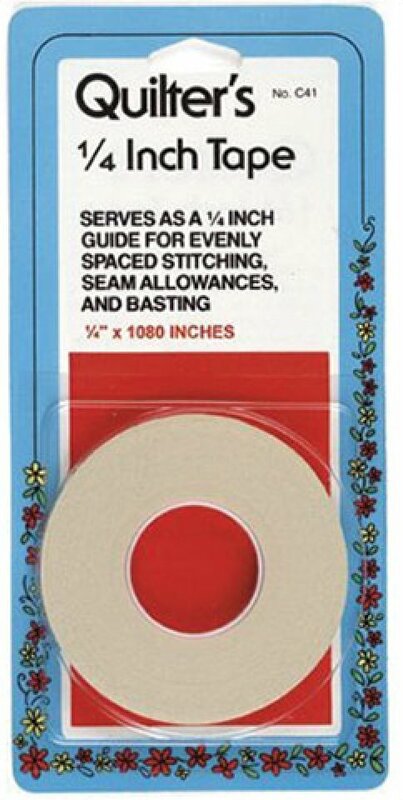 A basic quiltmaking item, this single-faced masking tape has multiple uses. Quilters place it on the sewing machine as a a 1/4in seam allowance guide when piecing quilts. Used to mark quilting lines. Can be repositioned without damaging fabric. 24 yards.